To fully enjoy this primitive back country experience requires a basic level of fitness, endurance and balance. Don’t worry, you don’t need to be an athlete or fitness guru, just reasonably fit. 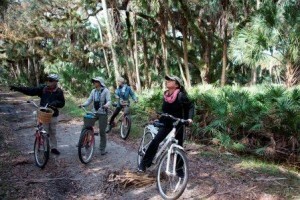 You will be kayaking, biking, hiking. 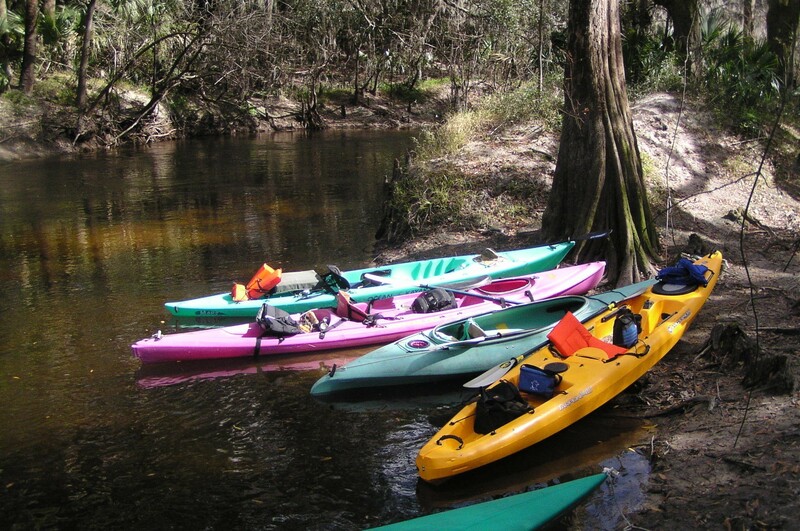 You must be able to step into and out of a kayak, remain in the kayak for 3-4 hours at a time paddling downstream, bicycle 5 miles at 10 mph, walk 2 miles on uneven trails, and spend several days exploring and sleeping in a tent in the wild Florida outdoors. Great for families with teens. Fun Spring Break Adventure! 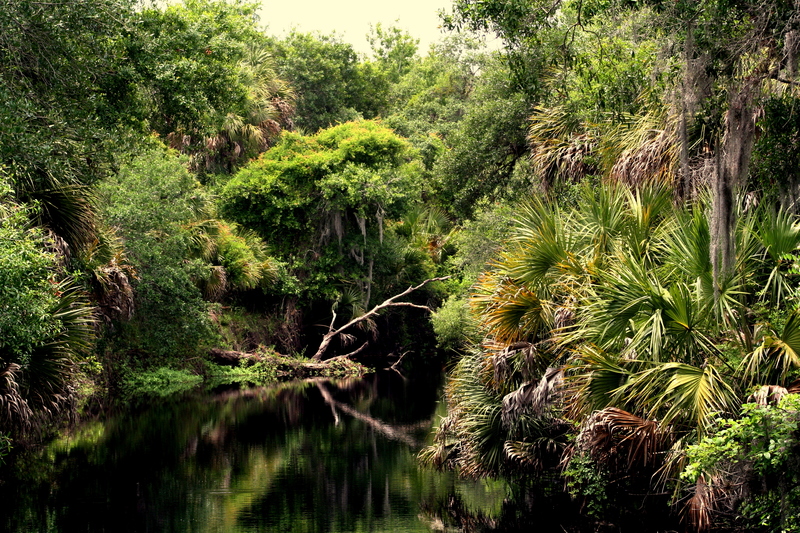 Enjoy a wild and scenic slice of Florida that few get to experience. 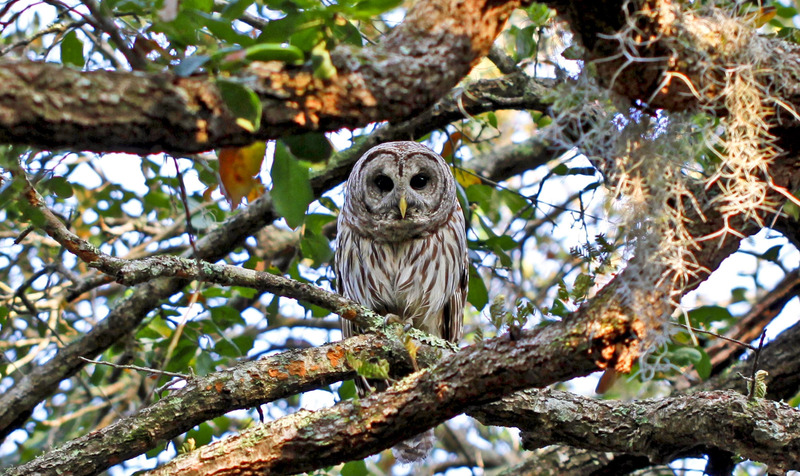 For 68 miles, the Myakka River meanders through Southwest Florida wetlands, prairies, hammocks, and pinelands, twisting its way among overhanging oaks, palm trees, and wild orchids. 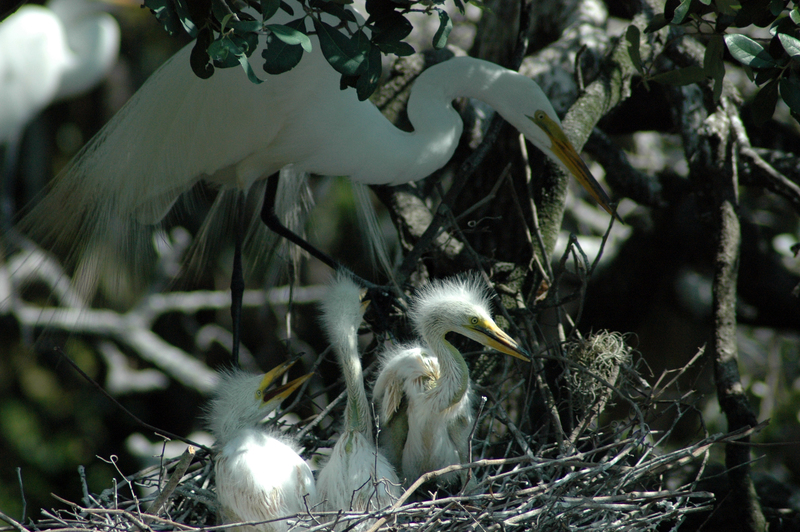 Home to abundant populations of birds, turtles, and alligators, the river traces a path through one of Florida’s most diverse natural environments, one you’ll experience intimately during our Wild Myakka River itinerary. 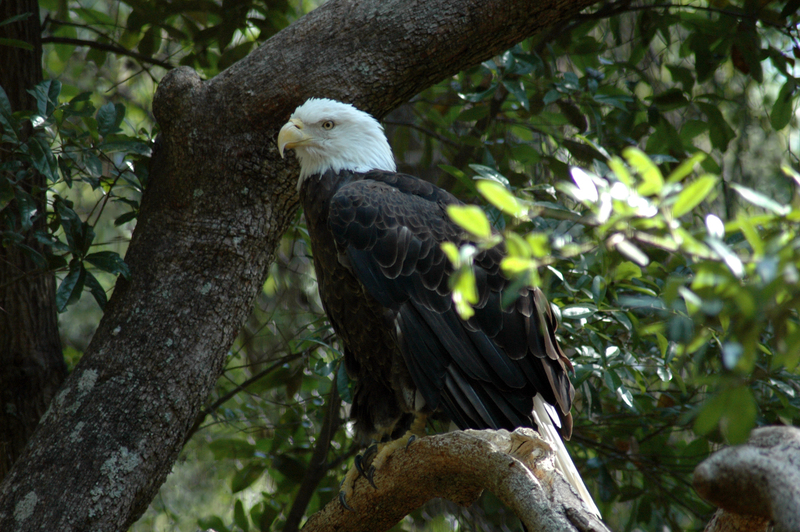 You can opt for the overnight getaway or immerse in the wild for four days. Get ready. 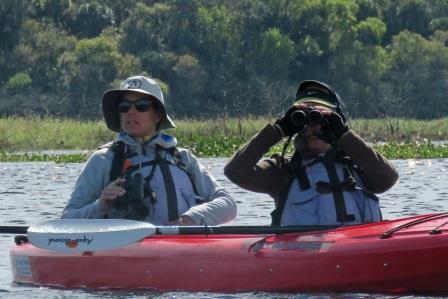 Getting an early start, slip into your tandem kayak, push off and begin your adventure on the Myakka River. 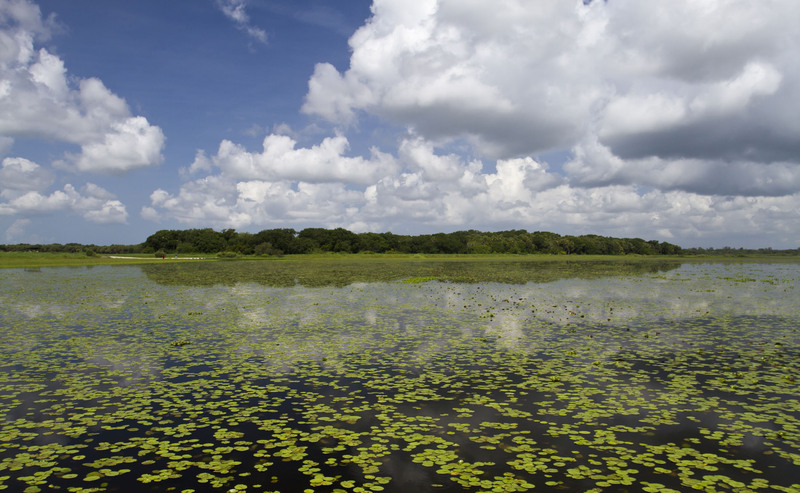 Paddle through sumptuous marshes and along the peaceful waters of Lower Myakka Lake and past Deep Hole, a gathering spot for alligators basking in the sun. 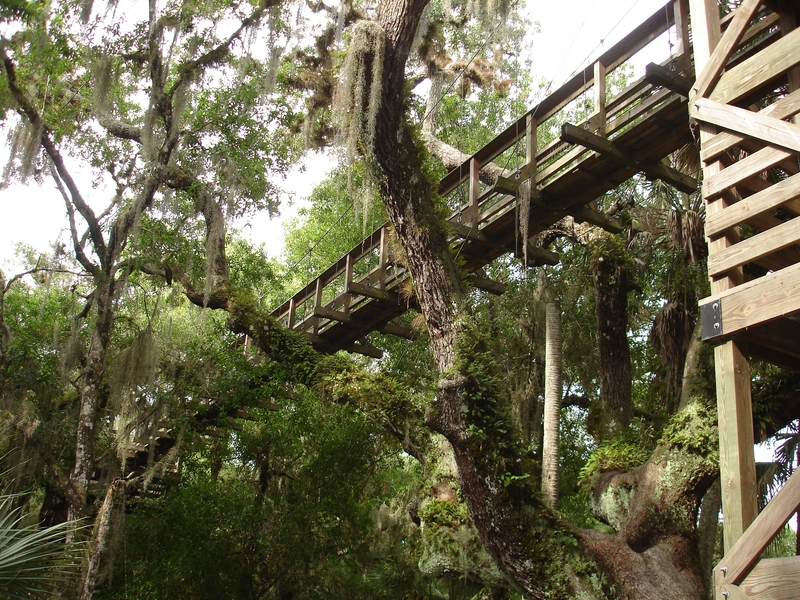 Stop for a picnic lunch then stretch out with a hike on the Carlton Memorial Reserve, a remote wilderness area situated in the heart of the Myakka River watershed. 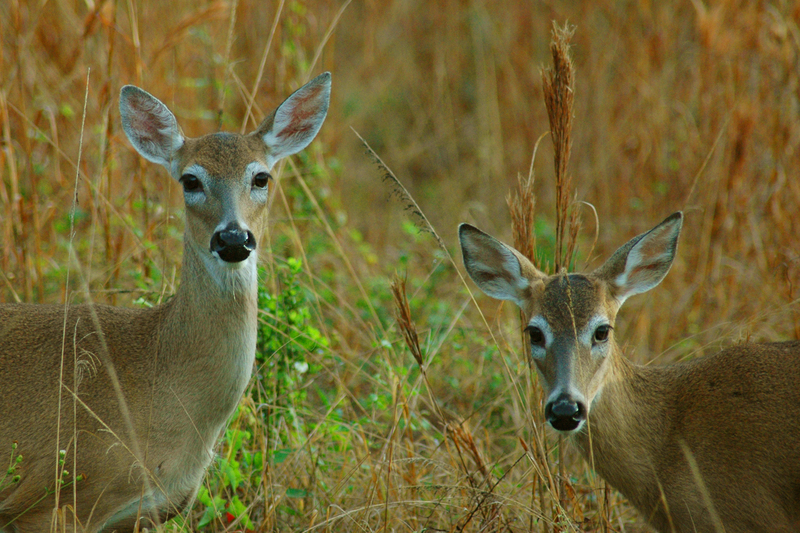 Look for wild hogs, white-tailed deer, storks, and sandhill cranes. Your camp awaits you at Rocky Ford, where you’ll enjoy a comfortable and laid-back evening underneath the stars with a camp concierge to take care of absolutely everything. Enjoy your camp breakfast before another day of leisurely paddling the winding black waters. 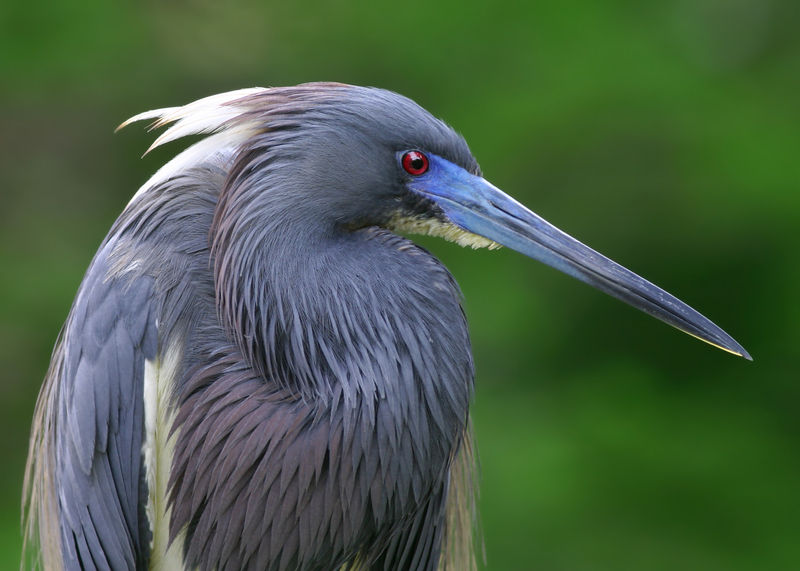 Spot soaring ospreys and hawks, wading great egrets and snowy egrets, great blue and tricolored herons, and the rare limpkin searching for small crabs in the muddy banks. 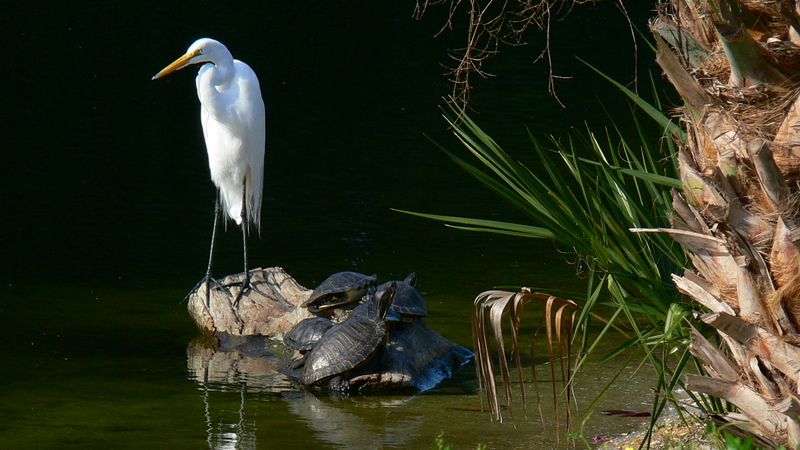 Stop for a picnic lunch then stretch out with a hike on the Sleeping Turtles Preserve. Continue paddling the meandering river to Snook Haven, a legendary Old Florida waterfront eatery that has served as a local watering hole for generations. Pull-out and catch a shuttle back to Myakka River State Park to end your adventure relaxed and amazed at the wild beauty. NOTE: Itinerary details, such as particular activities, routes, guides, restaurants and accommodations, are subject to change due to weather and river conditions, emergencies and other unforeseeable and uncontrollable events. 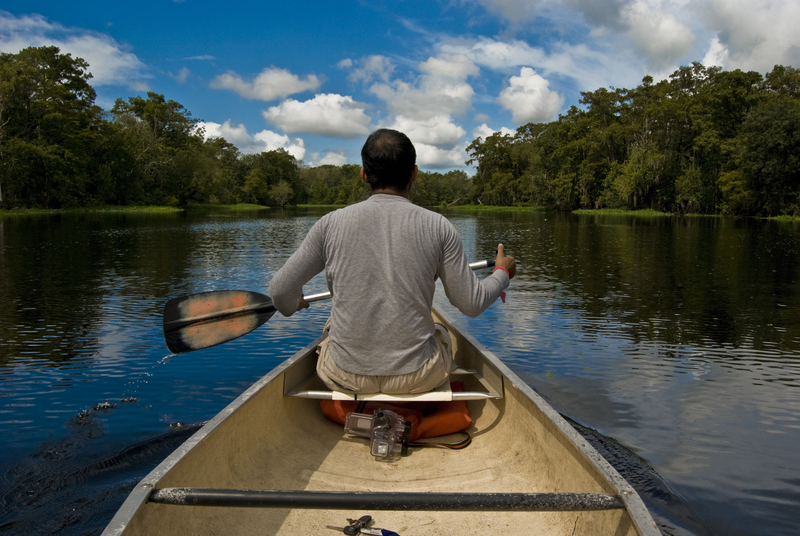 Our experienced guides will ensure you’ll have a blast regardless. 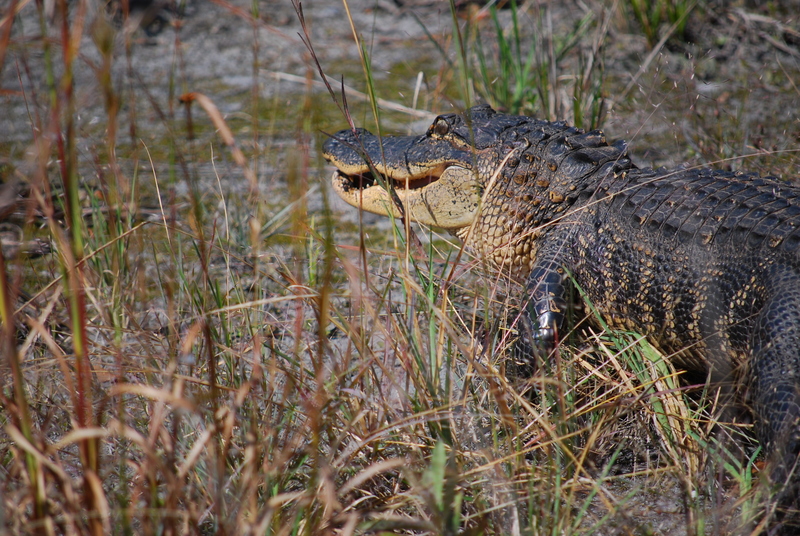 Yes, you will encounter alligators during your time on and around the Myakka River. 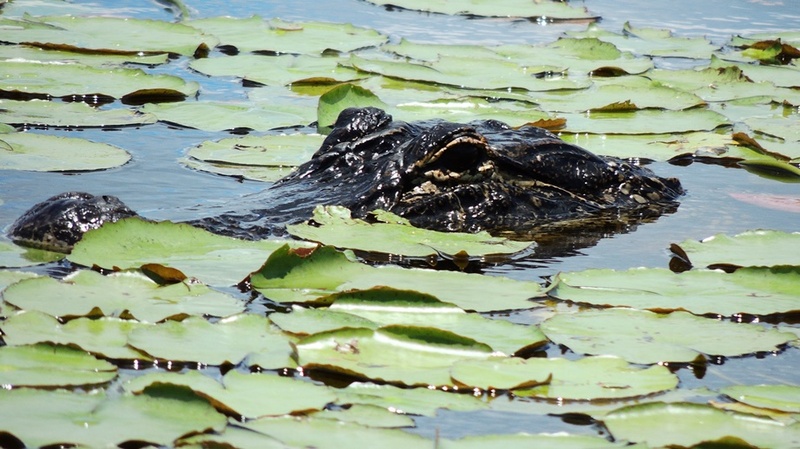 Alligators may intimidate some visitors, but as long as you follow a handful of simple, common-sense guidelines, there is no reason to fear these shy, beautiful creatures, who would much rather avoid human contact altogether. 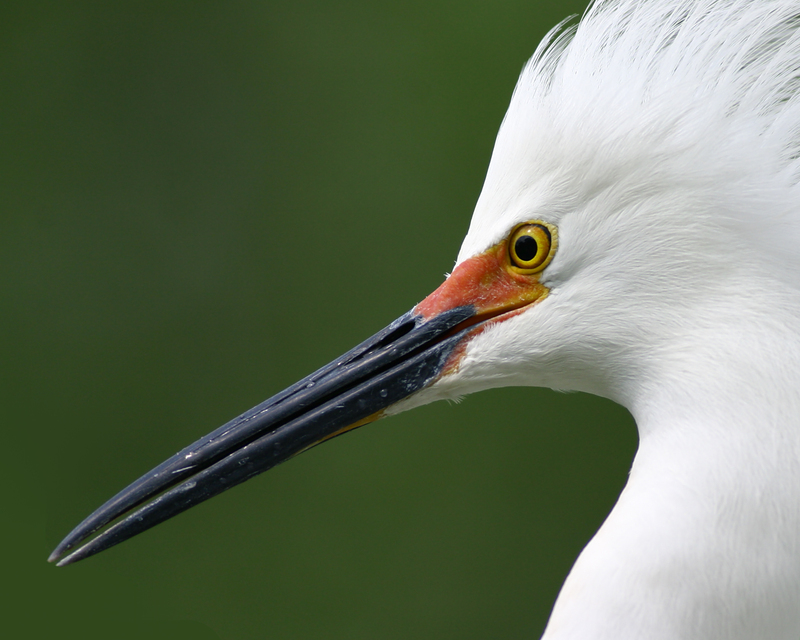 While formidable hunters, they eat fish, turtles and birds—things they can take in one bite. 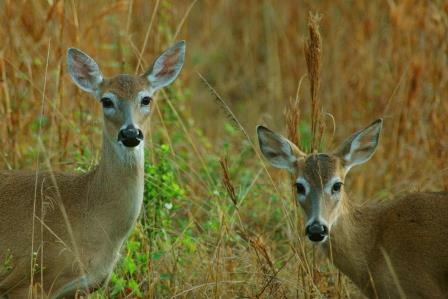 They keep to themselves, basking on the riverbank or sinking below the water to stay out of sight as humans pass by. 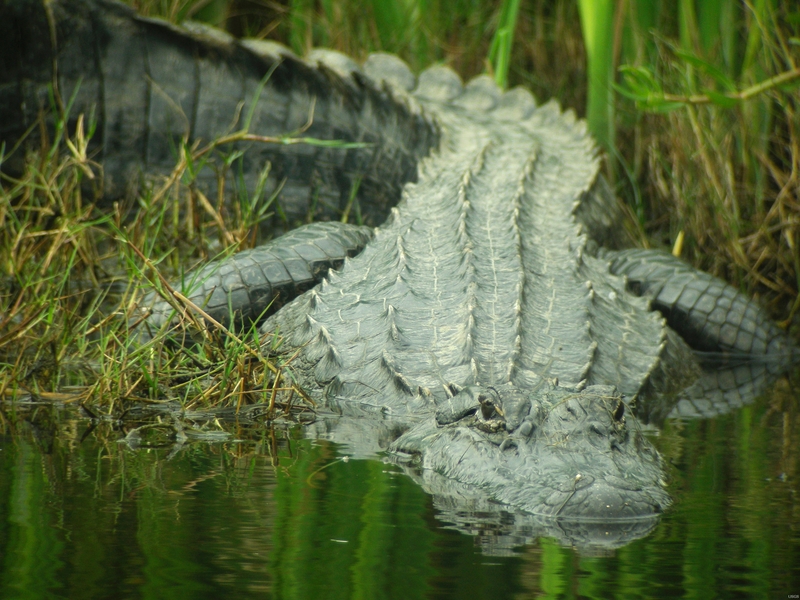 Before our tour begins, our guide will offer basic tips on how to stay safe around alligators and answer any questions you might have. 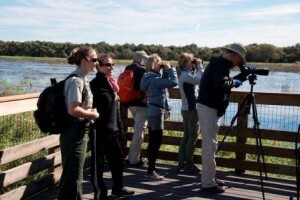 Gather early at Myakka River State Park for a welcome orientation and special presentation on the Myakka River, where local experts will weave stories about the river and introduce you to its unique habitats and wildlife and the people who work every day to keep it wild and scenic. 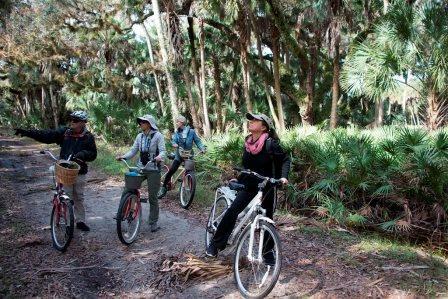 Then saddle up for a bike-and-hike with park rangers who will take you behind-the-scenes to see how the park protects its fragile and dynamic ecosystem. 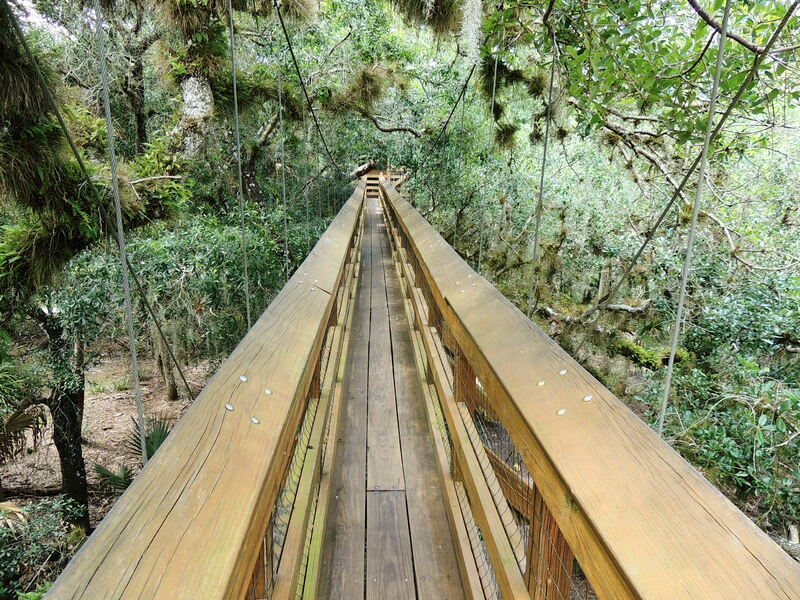 Visit the birdwalk along Upper Myakka Lake and climb 74 feet into the air for breathtaking views of the whole park from the canopy walk. 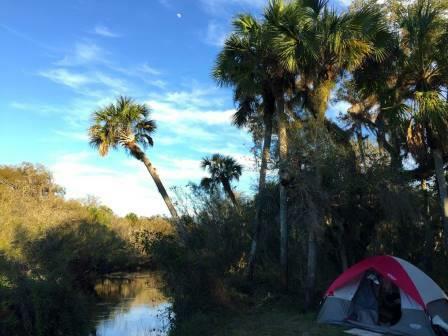 At the end of the day, kick-back at your private riverside camp. 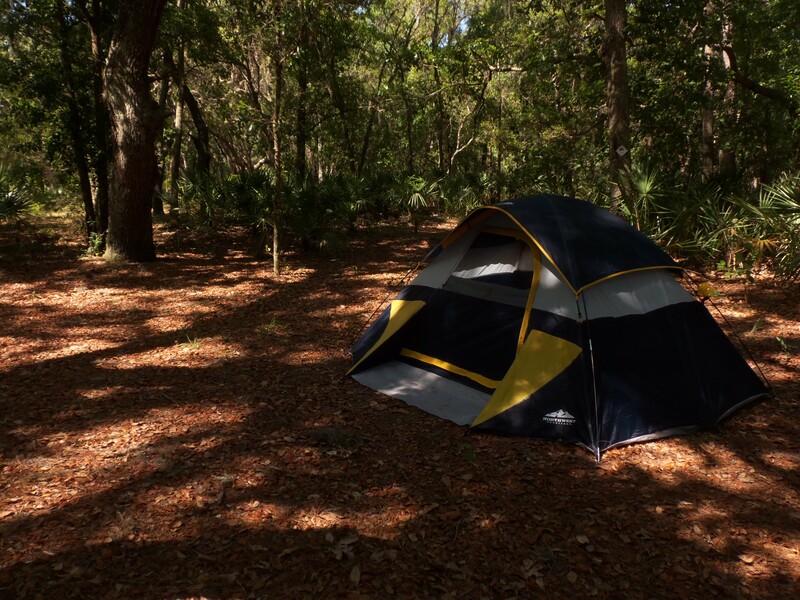 Our camp concierge takes care of all the campsite setup and cooking, so you can just sit back and relax. 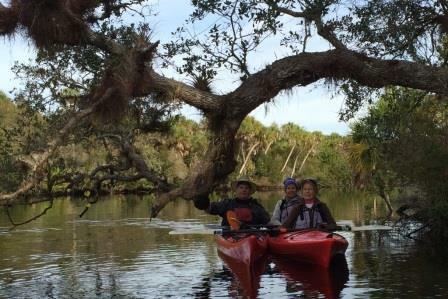 Getting an early start, slip into your kayak, push off and begin your adventure on the Myakka River. Paddle through sumptuous marshes and along the peaceful waters of Lower Myakka Lake and past Deep Hole, a gathering spot for alligators basking in the sun. 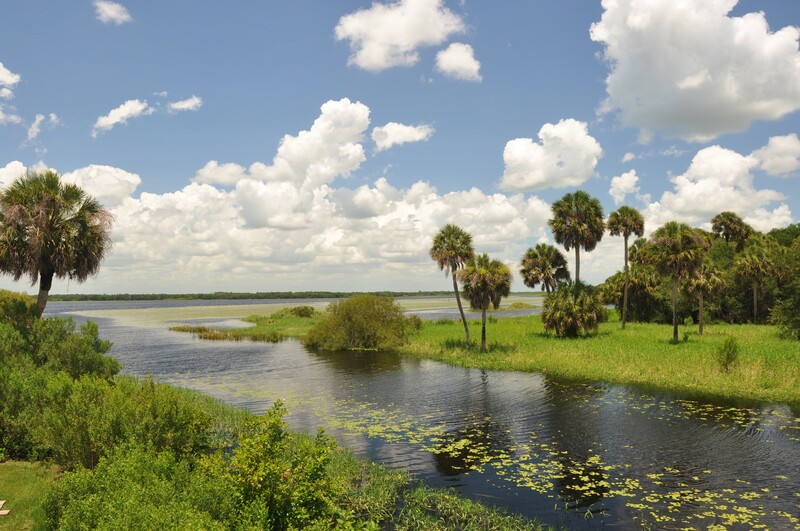 Stop for a picnic lunch then stretch out with a hike on the Carlton Memorial Reserve, a removed wilderness area situated in the heart of the Myakka River watershed. 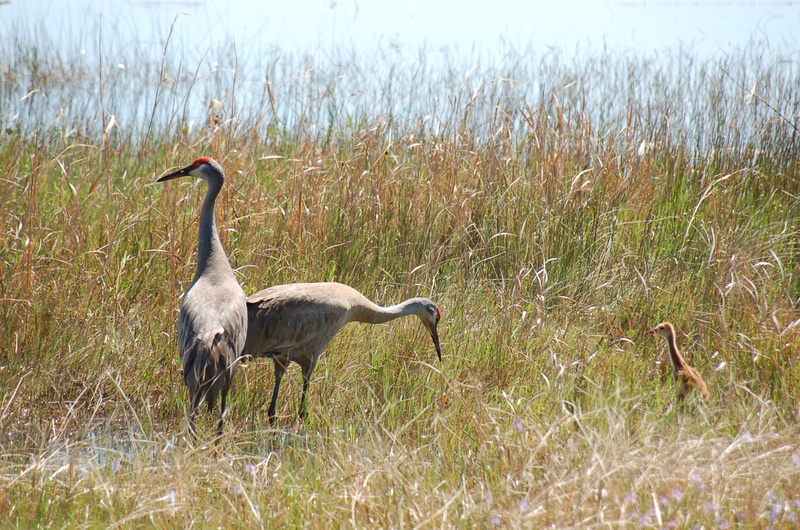 See wild hogs, white-tailed deer, storks, and sandhill cranes. Your camp awaits you at Rocky Ford, where you’ll once again enjoy a comfortable and laid-back evening underneath the stars. Enjoy a camp breakfast before another day of leisurely paddling the winding black waters. 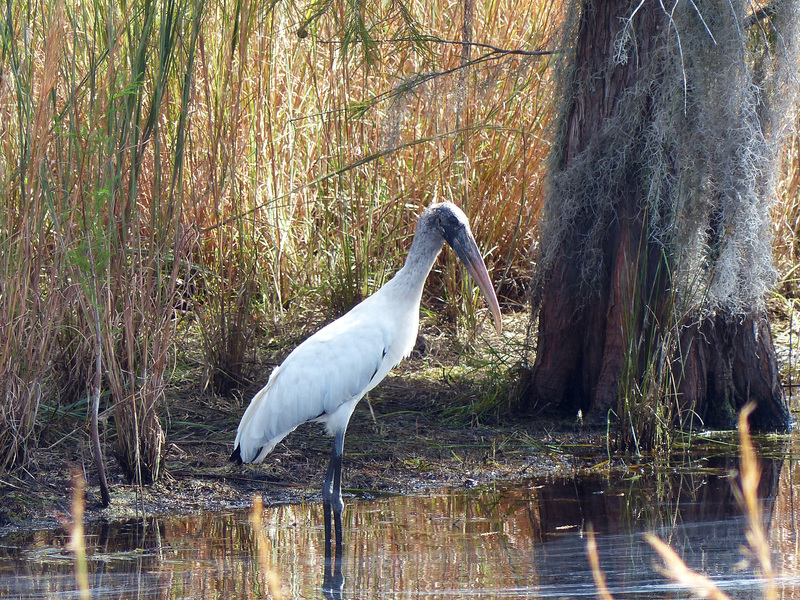 Spot soaring ospreys and hawks, wading great egrets and snowy egrets, great blue and tricolored herons, and the rare limpkin searching for small crabs in the muddy banks. 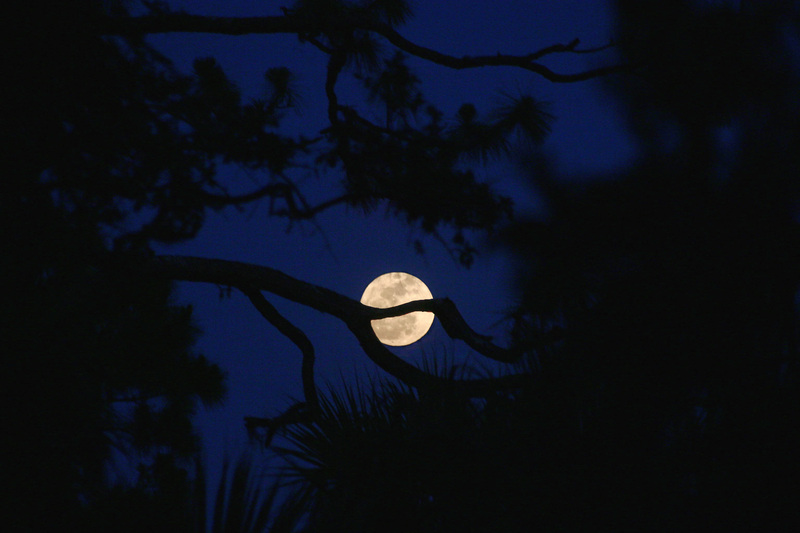 Arrive at your camp at Deer Prairie Creek Preserve, where you’ll take a guided hike followed by a quiet and relaxing (and optional) nighttime paddle. After a leisurely morning exploring, paddle back upstream a short way to Snook Haven, a legendary Old Florida waterfront eatery that has served as a local watering hole for generations. Enjoy lunch before catching a shuttle back to first night’s hotel to pick up your vehicle. 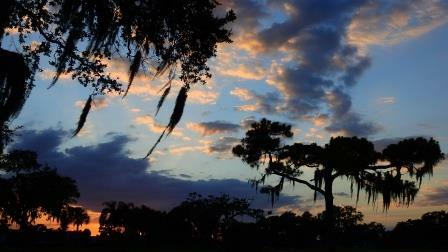 Head home or stay on to enjoy more of the region’s incredible attractions. 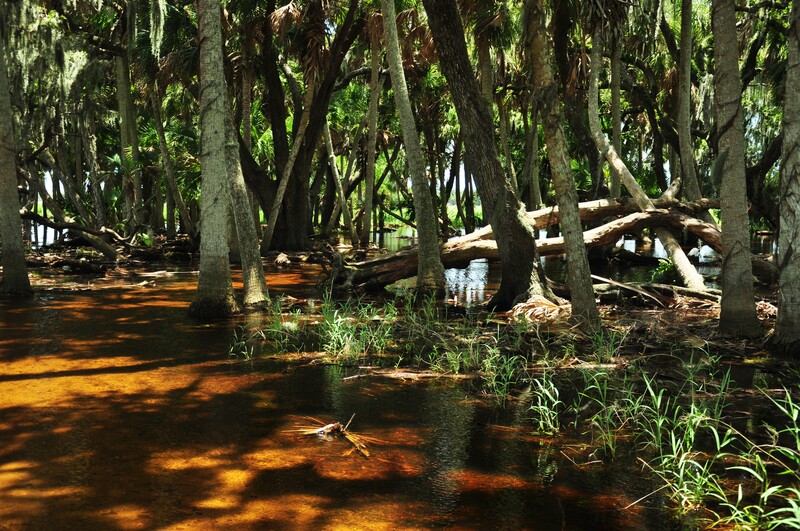 Wild Myakka River, like all ((ecko)) itineraries, is designed to be as sustainable and environmentally sensitive as possible. We carefully choose local partners who live up to our rigorous standards for sustainability, environmental stewardship and education. 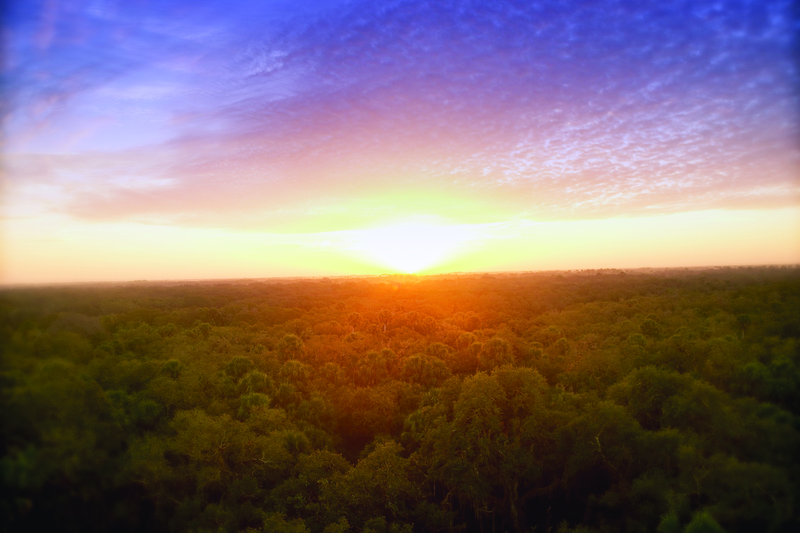 We strive to minimize your energy consumption, waste, and environmental impact. We encourage Leave No Trace principles and strive to support the environmental programs of our local nonprofit partners. 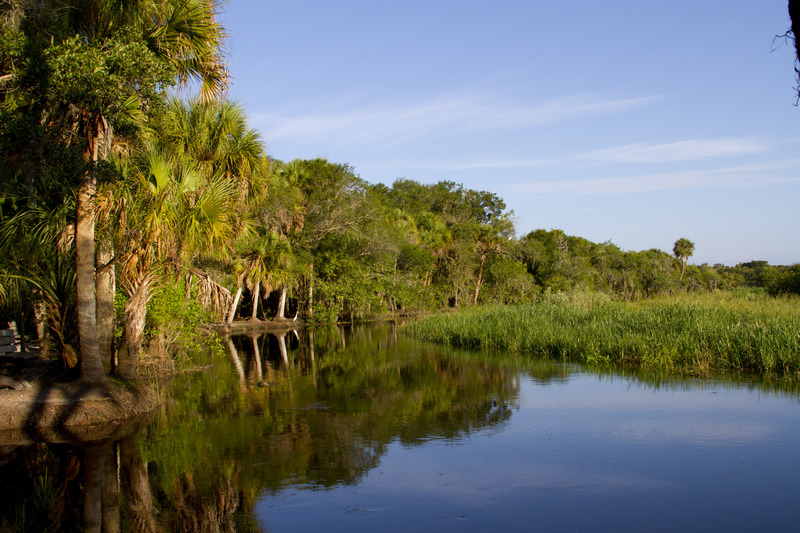 Myakka River State Park preserves and protects more than 17,000 acres of wetlands, prairies, hammocks, and pinelands, as well as a huge range of native wildlife. 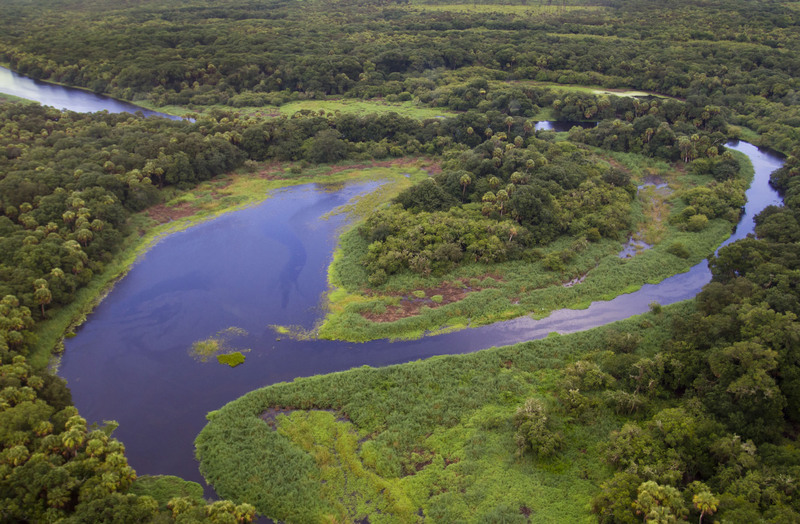 Southwest Florida’s Myakka River begins near the border between Hardee and Manatee Counties, then flows southwest and southeast through Manatee and Sarasota Counties before connecting to Charlotte Harbor and the Gulf of Mexico. The 35 mile section running through Sarasota County has been designated “Wild and Scenic.” Myakka River State Park, located in Sarasota, sits on 17,000 acres of land around the river—territory that also includes Upper and Lower Myakka Lakes. 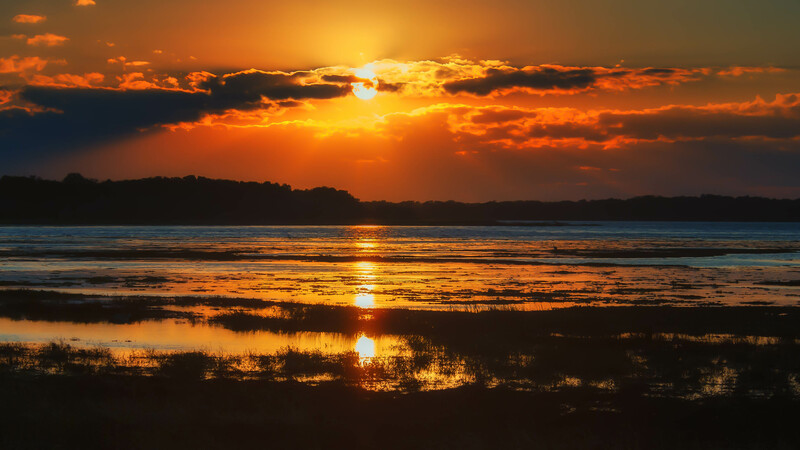 The closest airport to Myakka River State Park is the Sarasota Bradenton International Airport (SRQ), which is located just 24 miles (32 minutes) from the entrance to the park. Tampa International Airport (TIA) is 73 miles (69 minutes) from the park, and Southwest Florida International Airport (RSW) is 82 miles (76 minutes) away. Taxi, Uber and shuttle services are available from each airport.